Etag is very excited to celebrate our 7th year in business today! As a technology startup in Bangalore, India, we are extremely grateful for all of the support we have received since the beginning from our customers, and partners. The entire team truly appreciates it!! 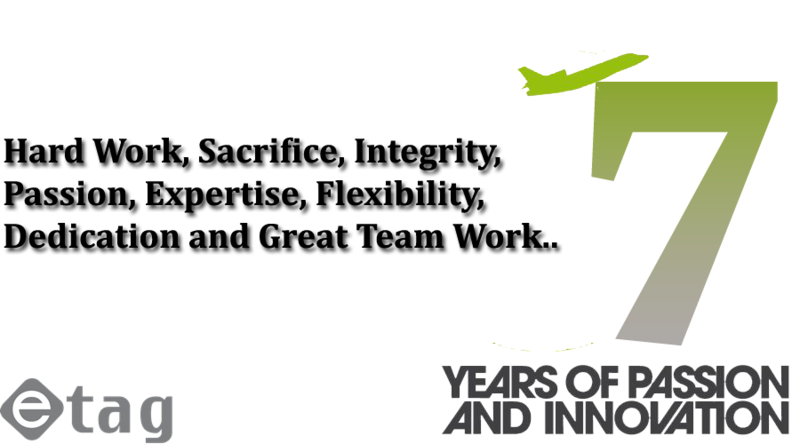 We at Etag wish to express our sincere appreciation to our employees for their loyal support as we celebrate our seventh year in business. When our company was founded in 2009 with 3 employees, we could hardly foresee our growth to a company with a staff of 50 within seven years. We could not have come this far without the support and hard work of each team member. Etag would like to thank the Team for all the Big and Little things they do everyday to make this a Great Place to Work.